So yesterday was a bit hectic...my first article in the national press. Scary... exciting... I can't figure out which I felt more of to be honest! I was asked to write an article for the Irish Independent outlining a bit about my background, why I chose to eliminate grains & sugar from my diet and provide a recipe to highlight that eating real food doesn't necessary mean eating boring food. I approached the article in the exact same way I approach GLBTK, directly, without a whole load of statistics or scientific facts. Honestly, science was never really my strong point so if that's what you're looking for... you're definitely on the wrong page. I make myself very accessible to people who engage on Facebook and Twitter. I like people. 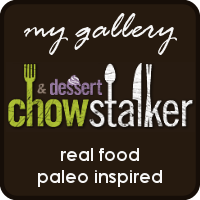 I like knowing that people are reading the blog and actually using the recipes to feed their family or friends. I made these chocolate fondants over the weekend, and believe me.... you need to try them! Preheat oven to 160d (fan oven). Melt butter, cocoa powder and honey together in a heatproof bowl set over gently simmering water. Whisk in vanilla & peppermint extract. Add eggs, one at a time, whisking well between each addition. Finally gently fold in ground almonds & baking powder until well combined. Pour mixture into 6 non-stick ramekins or pudding bowls (approx 2/3 full). Place moulds on a roasting tray. Pour 1/2 an inch of boiling water into the roasting tray to prevent burning and create steam. Bake for 13 minutes until risen and firm. Cakes should have a slight wobble in the centre, which gives the fondants their delicious warm chocolate sauce.